Homemade biscuits are so easy to make, and if you follow a few simple rules, they will always turn out fluffy and delicious. From a double choc chip cookie to a savoury oaten biscuit and everything in between, Make quick and easy homemade biscuits for your family, friends, parties, any occasion or give as gifts. you'll find cookies and biscuits for every occasion in this collection! Want to make biscuits or even bake cookies? We have recipes for biscuits, chocolate chip cookies, almond biscuits, honey biscuits, chocolate biscuits and biscotti and lot more...!!! biscuit recipes aren't the same thing the world over. In many countries, like England, a biscuit is a hard cracker or cookie. In the U.S., the word means a small piece of dough, usually round, that is baked and served with meals. Most biscuit recipes use baking powder or soda as leavening, rather than yeast. Because of this, they're known as a "quick bread" since you don't have to wait for them to rise. 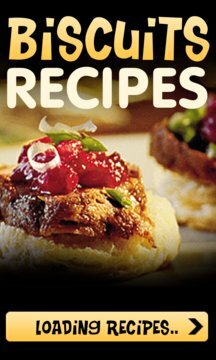 Hundreds of Quick and easy Biscuits Recipes that are great for any occasion, entertaining, parties, snacks and starters. 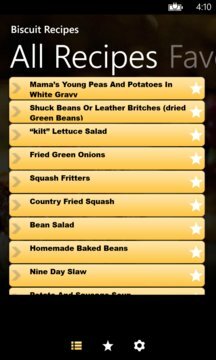 Grab this great Homemade biscuits recipes app and Why not bake something new for your family and friends this week?